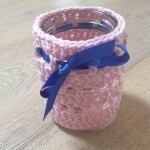 I wanted to make something to put all my pens in at work… in fact, a few of us wanted a pen pot. 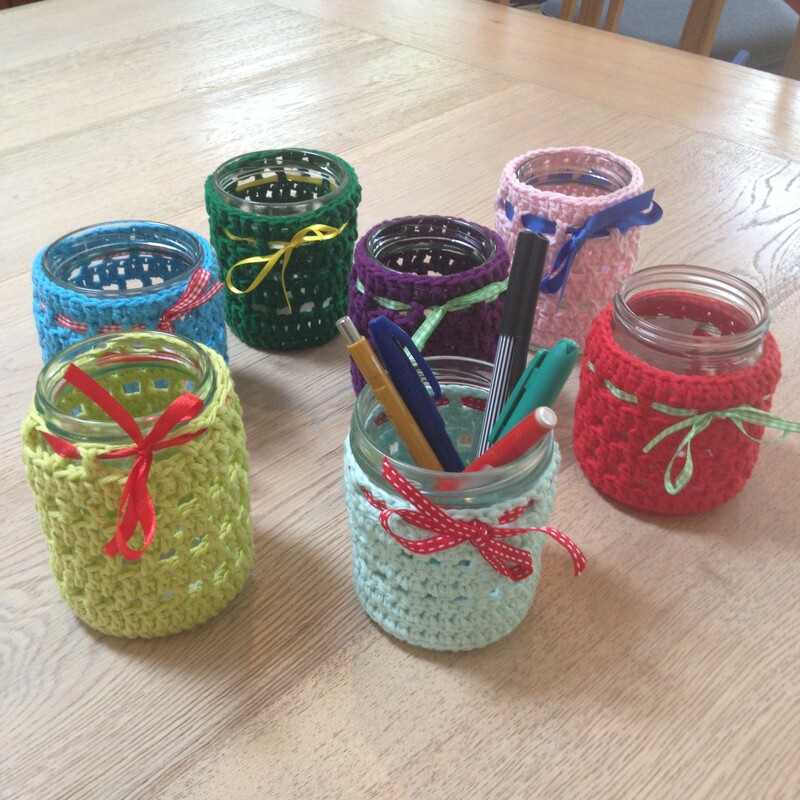 So I found some empty jam jars and decided to crochet some colourful crochet jar cosies! 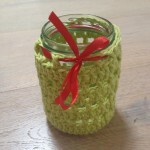 I just used some cotton dk yarn and made up a really simple pattern. 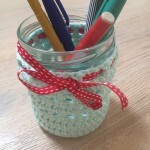 You can either just crochet a cosy that goes round the jar or you can crochet a base then work up the jar in rounds. I was getting lazy so only made a couple with bases! 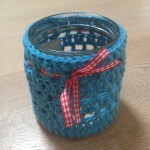 Begin by making enough chains so they fit around the base of your jar – remember that the yarn will stretch a little so a snug fit is fine. Join your final chain to the first chain. Now work in continuous rounds (or you can join up each round). Now thread some ribbon inbetween each of the dc posts in round 7 and tie a bow! 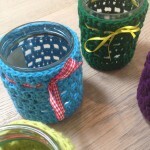 You can use any stitch or pattern you like for these jars – go experiment! Hi Anna! 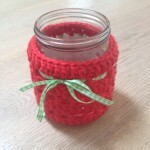 curious if you share patterns…would love to do some of the jar cozies! 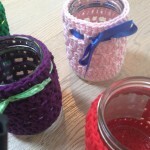 But not sure how to get started…I think these, on the right jars, would make awesome tea lights! 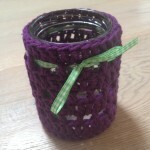 But as a sort of beginner…can’t really do stuff without patterns yet. 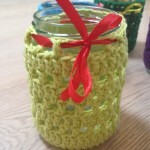 Do you share your patterns? 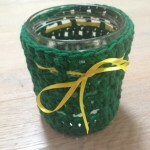 I’m more interested in the ‘lacy’ type so the candlelight can show through..
Hey Carol – please check out the quick and easy pattern I have posted here!